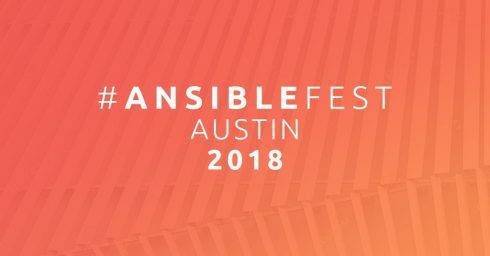 Red Hat previewed new security automation integrations coming to its Ansible Automation platform early next year and launched the Red Hat Ansible Automation Certification Program for thorough vetting of internally and partner-developed modules and plugins for the platform at the Red Hat Ansiblefest 2018 in Austin this week. According to the company, the new security enhancements will improve automation of enterprise firewalls, intrusion detection systems and security information and event management, all of which will help systems stand up to cyberattacks and conglomerate disparate functions into one utility. “Detection and triage of suspicious activities – Ansible can automatically configure logging across enterprise firewalls and IDS to enrich the alerts received by a SIEM solution for easier event triage; for example, enabling logging or increasing log verbosity. Threat hunting – Ansible can automatically create new IDS rules to investigate the origin of a firewall rule violation and whitelist those IP addresses recognized as non-threats. The partners already on-board with the Red Hat Ansible Automation Certification Program include Cisco, specifically the ACI, NSO, NX-OS, and UCS product families; CyberArk; F5 Networks; Infoblox; NetApp and Nokia, Red Hat explained. “Together, these ecosystem partners are expected to offer more than 275 Ansible Certified modules in addition to what Red Hat currently supports, helping expand the breadth of enterprise automation,” the company wrote in the program’s announcement.